July 2014, Delhi: Senator Nisar A Memon meets Prof Jeffery Sachs and Chancellor & Vice Chancellor TERI University. 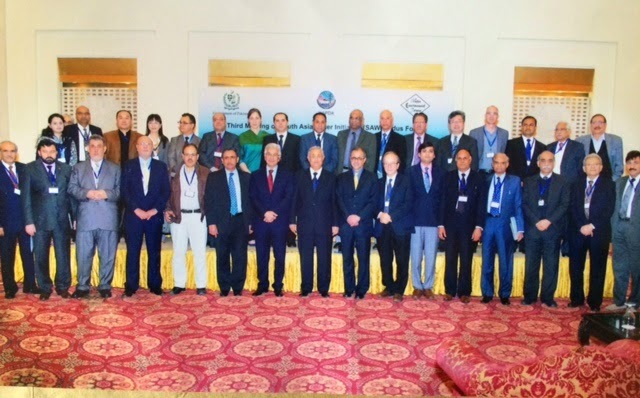 WEF Pakistan was Co Host to 3rd SAWI Indus Forum Meeting, Lahore Pakistan in March 2015. "Pakistan’s security is intrinsically linked with water. Climate change challenges of rising temperatures, rains, floods, glacier lake outburst floods, rising sea water levels are serious threat to economic and social security. Water resource preservation and control of pollution is essential for human and other living being survival. Awareness and education is key to combating these security challenges at local, district, provincial, national, regional and global levels." Nisar A Memon addressing on theme of 'Sustainable Development Solutions & Action Plan for Universities and their Youth. 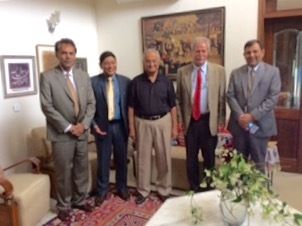 April 2016 Islamabad: ICIMOD team of Wahid, Shrestha, David and Farid with Nisar. 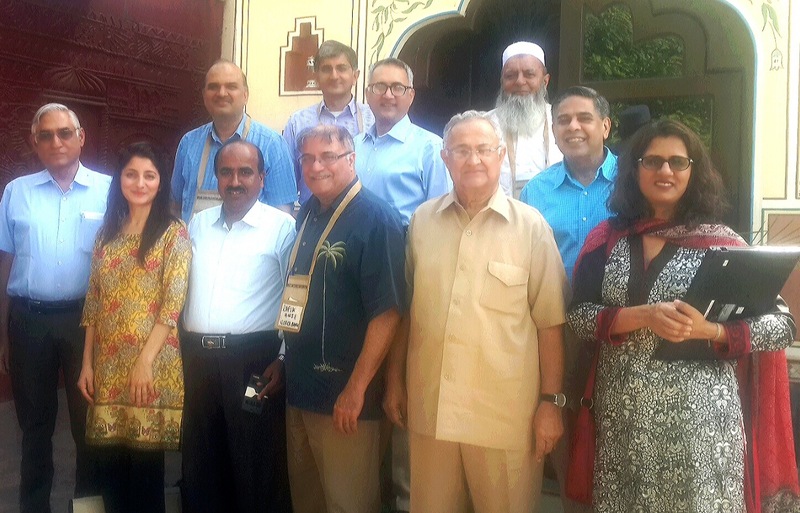 June 2016 Jaipur: South Asia Groundwater Forum-Pakistan delegation with Rafik of World Bank. 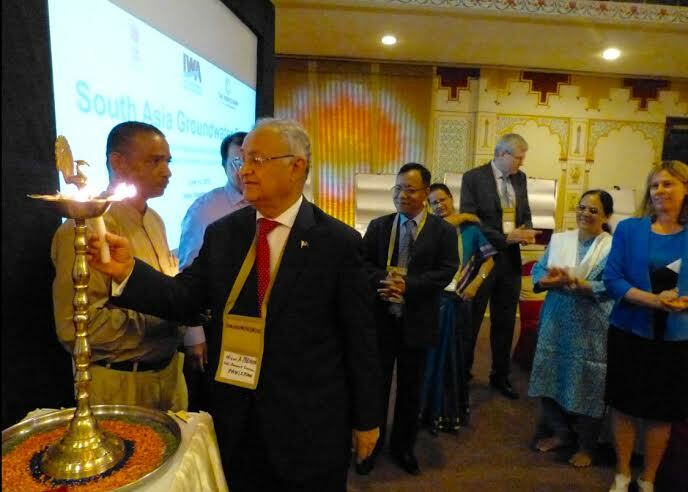 June 1, 2016: Inauguration of South Asia Groundwater Forum, Jaipur by lighting a candle by each country. 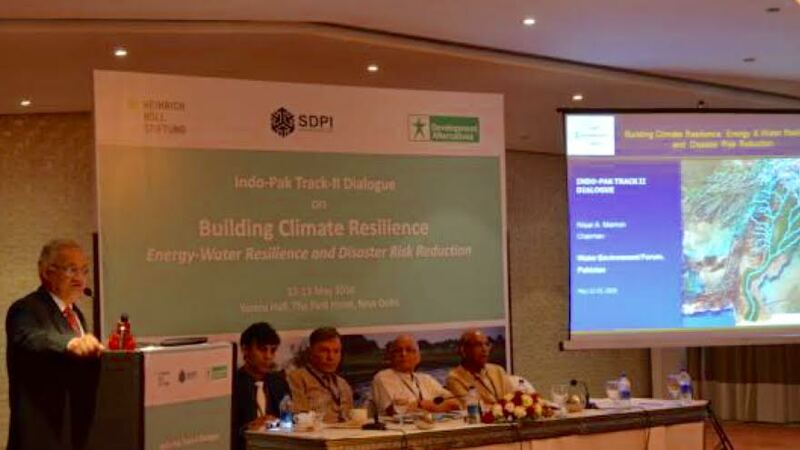 Nisar A Memon chairing session on enhancing water resilience and climate change adaption.